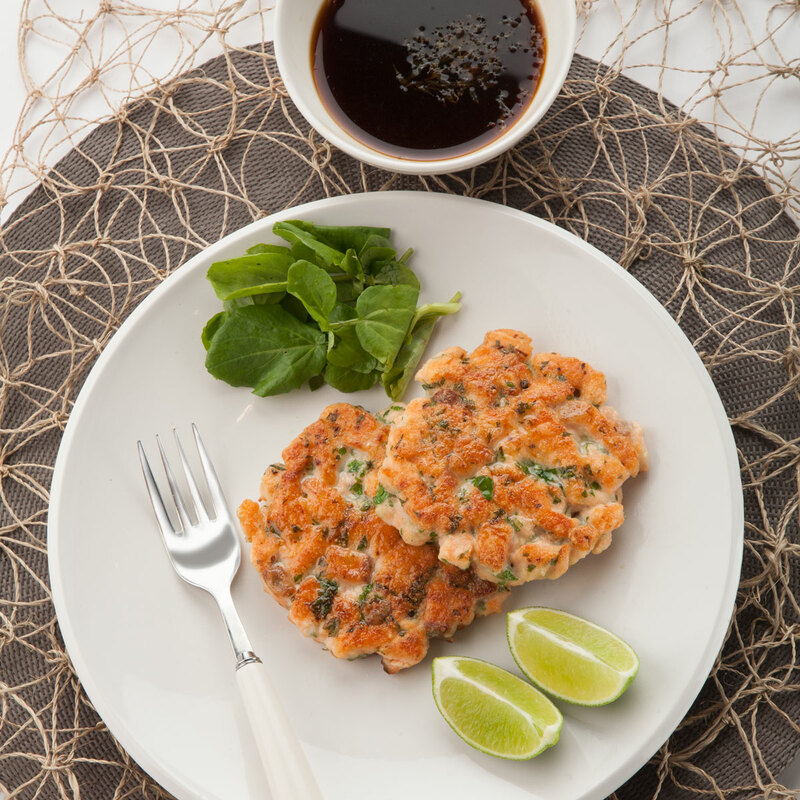 Salmon fishcakes, soy and lime dipping sauce (main course) - home cooked food delivered. Our very own Asian-inspired fish cakes feature a fusion of decadent flavours, from salmon to kaffir lime leaves to wasabi paste, for a fragrant taste experience like no other. When dipped into the accompanying soy and lime sauce these are beyond compare.